Argo Group has a role in protecting vital industries across the globe, from agriculture to manufacturing and hundreds of others. 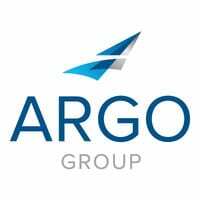 One reason for Argo’s success in so many sectors has to do with the partnerships it forms, prompted by its emphasis on collaboration with clients. One such collaboration is helping Cattle Empire, one of the nation’s largest cattle-feeding operations. Argo, in partnership with broker Cline Wood, a Marsh & McLennan Agency LLC company, covers the herd and property against loss. Lucas Christensen, chief financial officer for Cattle Empire, grew up on a cattle ranch in Montana. He understands the importance of having an insurance partner dedicated to the concept of sustainability. “I think that’s something I grew up understanding and learning that we live off the land and off the animals, and so it’s in our best interests to take care of those,” Christensen says. He appreciates the role that Argo plays in keeping his operation running smoothly. That’s when Bart Schaffer, senior vice president for Argo’s Commercial Programs, and his team step in.